So I was playing with SharePoint search a while back, and I was wanting to display some results differently based upon what type of item the result was for. 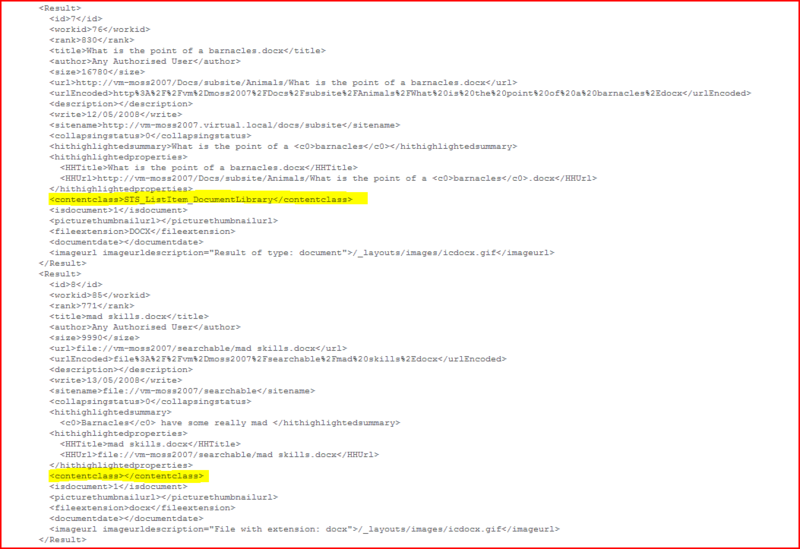 As you can see, the first highlighted result is STS_ListItem_DocumentLibrary. Pretty clear what that is. Not all results actually have a content class – the second highlighted result is from a document on a file share, and it doesn’t have a ContentClass.